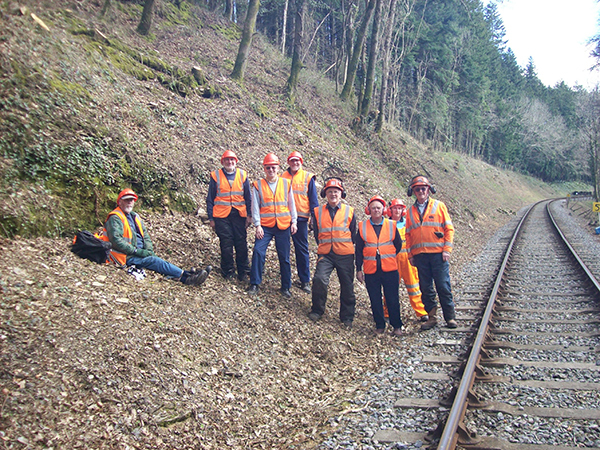 The South Devon Railway Cutting Back Gang, led by John Harris, have recently taken delivery of a supply of Forestry Safety Helmets and Loppers, funded from a donation received from the Patron, David St. John Thomas. The picture above was taken by Tony Phillips – assistant to the PW Manager. 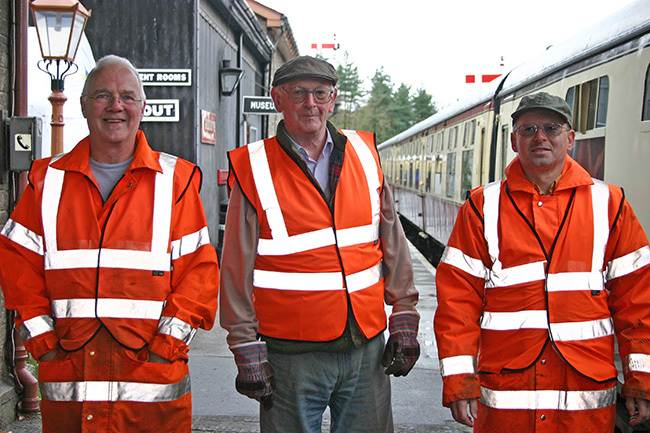 The Gang meet each Wednesday, and the results of their labours will have been noticed by the majority of our passengers, as they take the train through the countryside and beside the River Dart, between Buckfastleigh and Totnes. 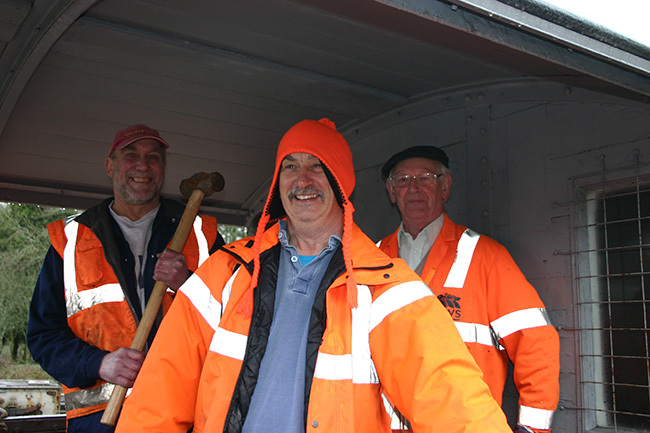 From time to time the fruits of their labours are collected by a log train, and taken to Buckfastleigh for the Gardener Nick Wakeling, to convert into convenient size logs for wood burners, and sold by the bag. Records of the days and hours worked by the Gang, show that in 2012, 350 man days, at an average of 6 hours per man, per day, were worked - and that allows for a fairly regular stop for a tea break! The first 11 days of 2013 have recorded 98 man days and almost 600 hours work already. We did recently receive a call from from of the Photo Charter Operators, to compliment us on our achievements, which was very pleasing to all involved. If you wish to join us after reading this, please contact the Leader, John Harris, on 01364 653082. In the meantime the Gang would like to gratefully acknowledge the receipt of the Donation from the Patron, which made this picture possible, and who has also made a contribution to the production and distribution costs of the Spring edition of the enhanced number 200 Bulliver. 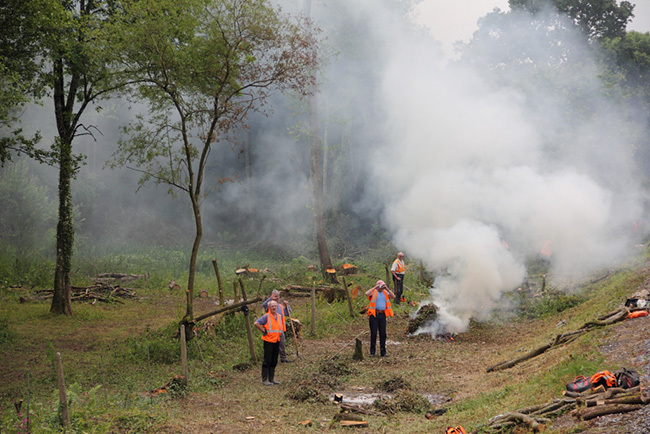 Photos (2 & 3) of the gang felling trees, clearing vegetation and cutting up logs are much more familiar, but they also have a strong group identity. John Harris (top picture, centre) is the leader of the cutting back gang, which is known as the Harris Gang, for obvious reasons. 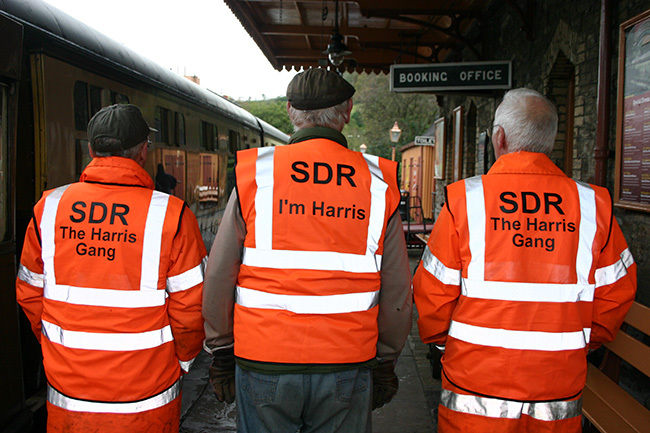 In the fourth picture, his own hi-viz jacket is clearly identified - the team always knows who's in charge!